Even for those working in the food photography industry – where free lunches are par for the course – the prospect of an all-expenses-paid foodie-trip to Tokyo is a metaphorical gift horse that few would be willing to submit to an oral examination. If you see what we mean. 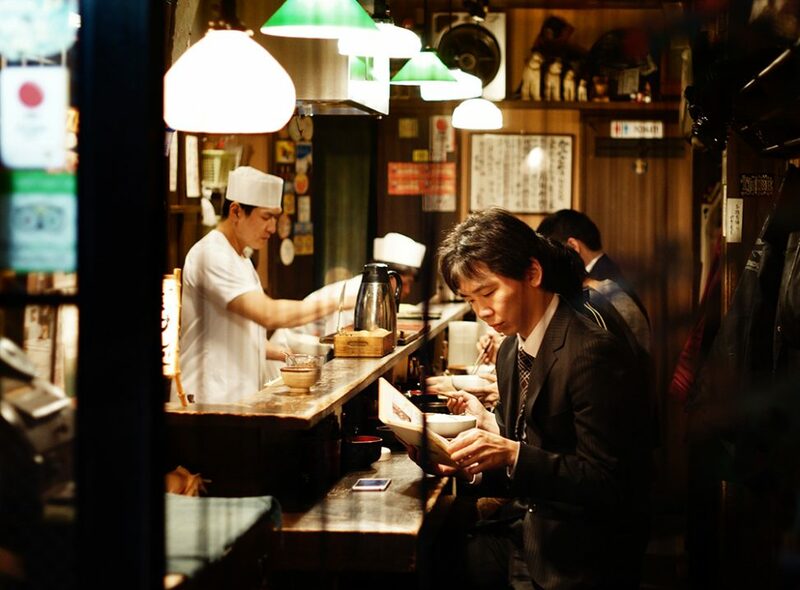 In fact, whichever way you look at it, Japan is foodie paradise. Add to that the Japanese talent for minimalist design and perfect presentation, and the country is likely somewhere near the top of any food photographer’s bucket list of destinations. And thanks to the UK branch of the Japan National Tourism Organisation (JNTO), a few lucky Brits will be traveling to Tokyo and Hokaido to sample the best in sake, to feast on world-famous wagyu beef, or slurp down tasty ramen at the Ramen Museum. JNTO has partnered with ANA, JAL, Prince Hotels and Sake Samurai to offer several lucky winners the chance to win several amazing Japanese foodie prizes. And all you have to do is enter the draw on the JNTO website. Whether you’re an experience food photography expert or a budding food photographer or food stylist, this is a pretty amazing opportunity. The winner of the ANA Prize will travel to Japan on with Japan’s only 5-star airline, All Nippon Airways, enjoying not one but two amazing foodie experiences: dinner at Nihonbashi Toyama, a restaurant that specializes in seasonal dishes from Japan’s Toyama region; and the opportunity to sample from nine varieties of regional ramen at the Shin-Yokohama Raumen Museum in Yokohama. Alternatively, if you’re lucky enough to win the JAL Prize, you’ll be flying to the northern Japanese Island of Hokkaido with Japan Airlines, Japan’s flag carrier, for a spot of skiing at two of Japan’s top mountain resorts: Niseko Ski Resort Grand Hirafu and Rusutsu Resort. The winner of the Sake Samurai Prize will be initiated into the rites of Japanese rice wine at a private sake tasting. Finally, the Wagyu Prize winner will enjoy a meal of wagyu beef for two at top restaurant Tokimeite. Whichever the particular prize, this competition offers a fantastic opportunity to put together a stylish portfolio of food photography. At least that’s assuming that Japan’s incredible culinary creations stay on your plate for long enough to point a camera at them. To participate in the competition, go to the JNTO website and enter your details before the 27th of November 2017, and you and a friend could soon be flying off to food photography heaven. Unfortunately though, the competition is only open to entrants based in the UK. Best Food .Photography has no connection with JNTO, JAL, ANA, Sake Samurai, Prince Hotels or any of the other partners in this promotional competition. We merely believe that it’s something our UK readers might be interested in participating in.